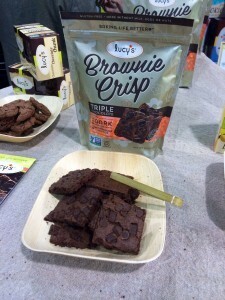 We ate our way through as many gluten-free products as we could get our hands on at last week’s Natural Products Expo West. (And yes, we do love our jobs.) In no particular order, here are our top 10 favorite gluten-free finds. Cookies Con Amore launched several new flavors of their “glutenetto” linzer cookies at Expo West, and a single bite of one convinced us that these cookies are indeed made with amore. With a short, buttery crumb surrounding a sweet-tart jam filling, Cookies Con Amore’s linzer tasted just like the wheat version of this classic cookie. 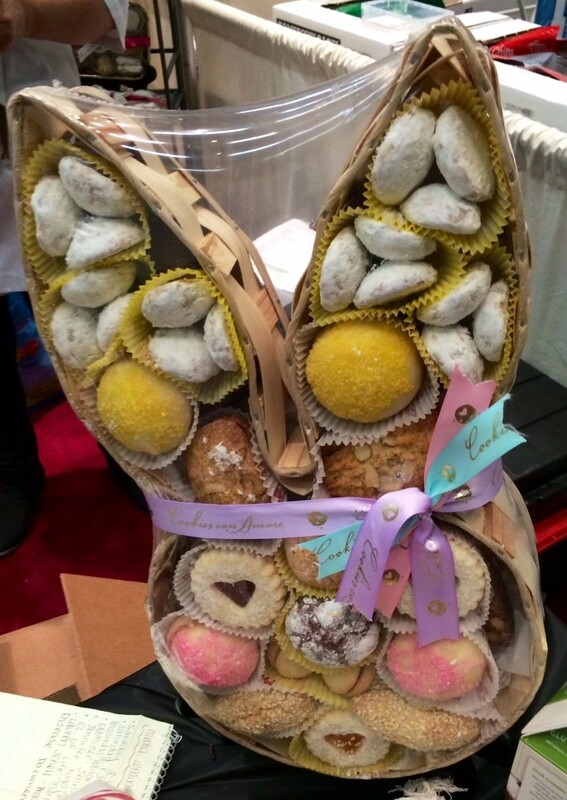 We’d put them on our cookie tray any day. These salty, crunchy cheese snacks were so delicious, we’ve already priced a 18-bag case of them on Amazon. Then again, we’re not sure we can trust ourselves not to burn through an entire case of these addicting little snacks in a week. 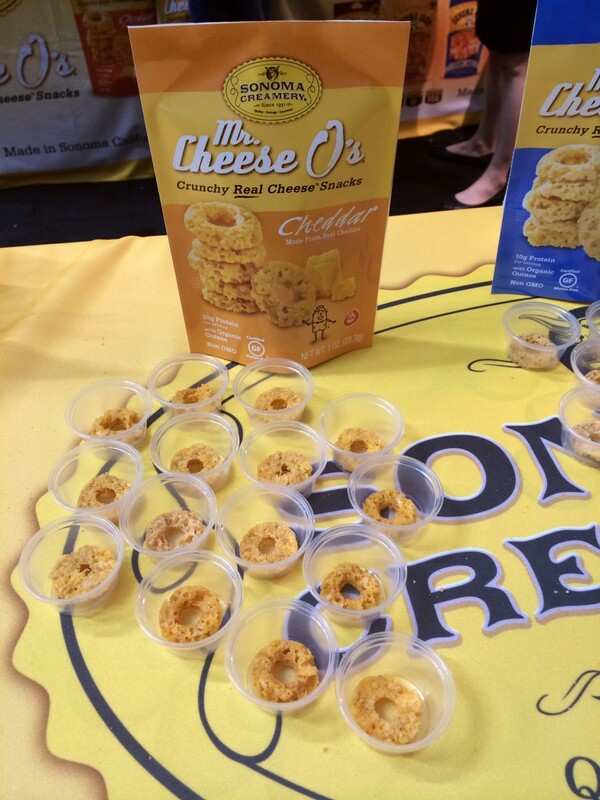 Made with quinoa, oat bran and brown rice, the “O’s” are corn free and made with real cheese. Available in four flavors: Sweet Chili, Original, Cheddar and Tuscan Herb. We ate a lot of pancakes at Expo West, but the sweet potato pancakes made from a Zemas Madhouse mix stood out from the pack. 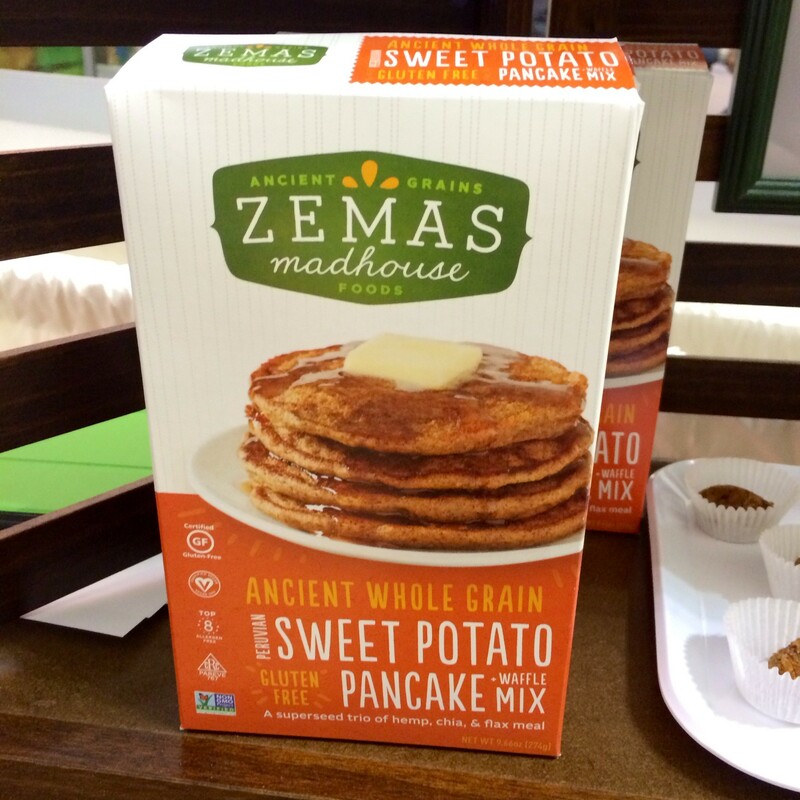 These carrot-colored flapjacks were creamy, lush, and slightly sweet without being cloying. We think they’d work as a sweet breakfast with whipped cream and powdered sugar or as a savory one with crumbled goat cheese and bacon. 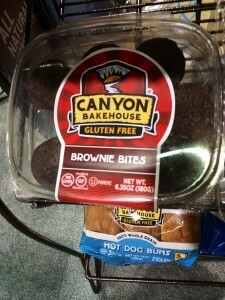 This brand-new offering from Canyon Bakehouse elicited an “Oh. My. God.” from one of our editors. Fudgy brownie lovers will flip for these moist, oh-so-chocolaty mini-brownies. Expo West visitors got an exclusive first taste of this new product; look for them in stores and online starting May 1st. 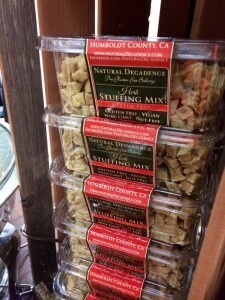 At Expo West, we ate cookies, crackers, muffins, bagels and pizza, but nothing brought us to our knees quite like Natural Decadence’s Herb Stuffing Mix. The warm, soft, savory stuffing brought back memories of our family Thanksgiving dinners, and one bite made us instantly forget we were crammed into a crowded convention center with 60,000 other people. 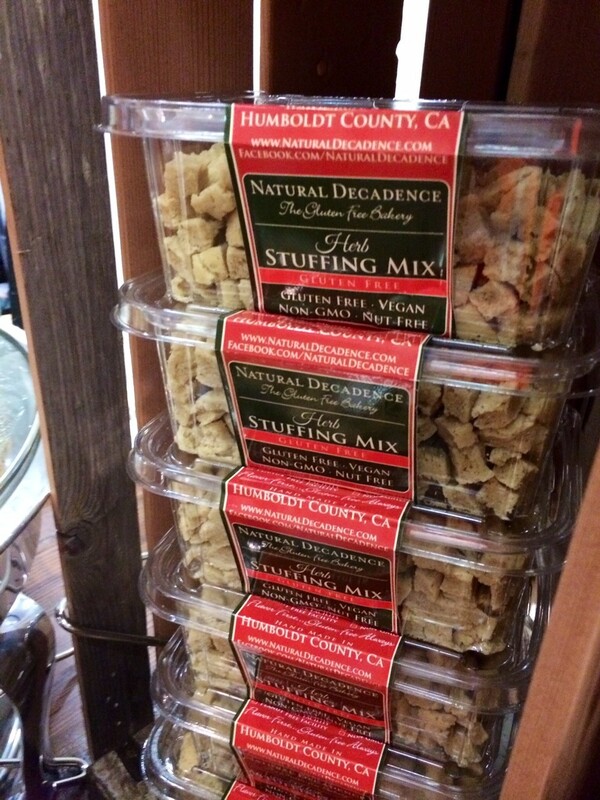 Good news for multiple-allergy families: The stuffing is also egg, dairy, and nut free. We fell hard for these organic, gluten-free and allergen-friendly candies at Expo West. 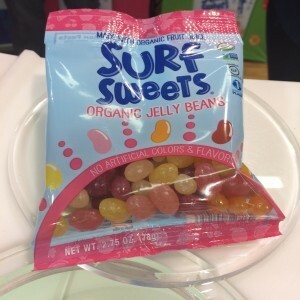 While most gummy bears taste like vaguely fruit-flavored bits of rubber, Surf Sweets’ version actually tasted like fruit, with a pleasantly chewy (not rubbery) texture. The gummy bears were a revelation, but the jelly beans stole the show: With their bright, not-too-sweet fruity flavors and perfect texture, we may never buy another brand of jelly beans again. 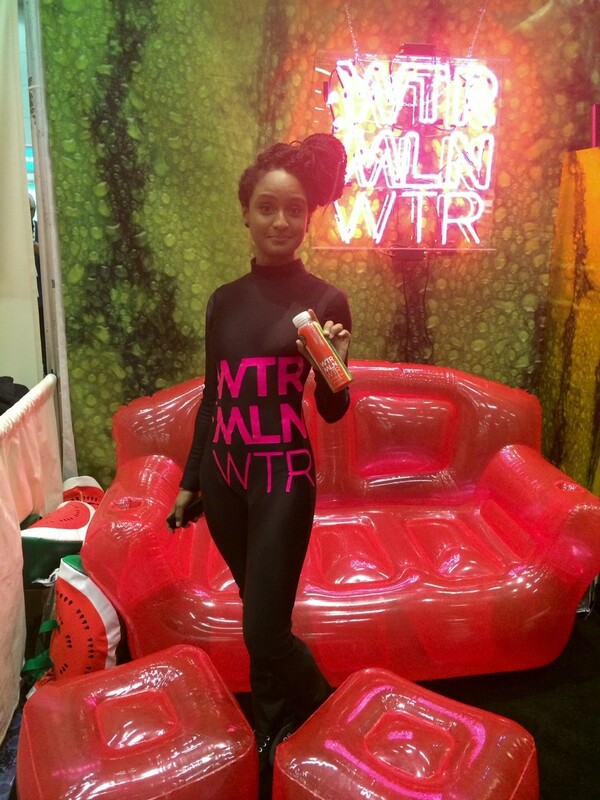 This watermelon water, or “Wtrmln Wtr,” admittedly sounds like something out of a Portlandia sketch: Cold-pressed, never heated, no preservatives or sugar, made from hand-peeled watermelon. But as ridiculous as it may sound, this cool, crisp, watermelon-packed drink was wickedly refreshing—exactly what we needed during a long day of walking around in the hot California sun. On a beach trip or on a scorching summer day, we’re betting nothing would taste better. 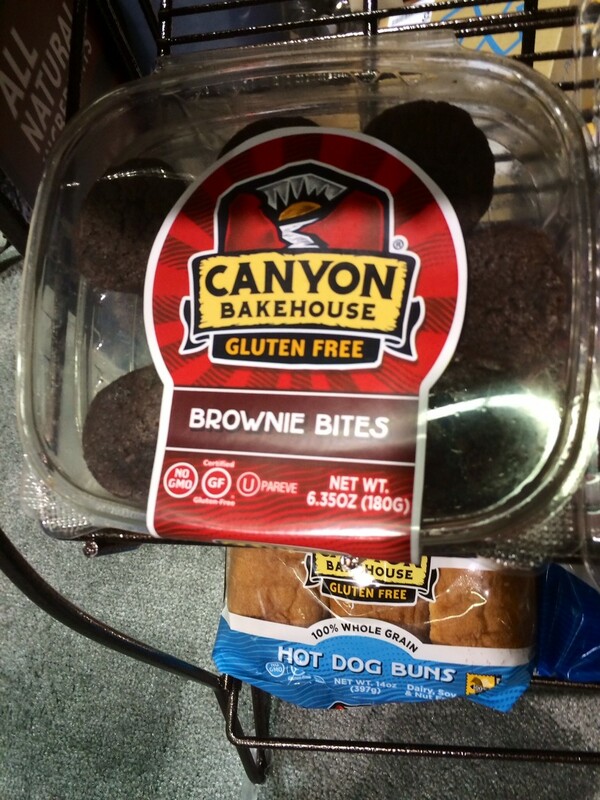 Are you the kind of person who snags the corner pieces of brownies to enjoy those crispy, chocolaty edges? Us too. That’s why we love Lucy’s new brownie crisps, which offer a crispy-crunchy take on the classic brownie. In addition to being gluten-free, the crisps are vegan and free from dairy, eggs, peanuts or tree nuts. We think they’d be divine crumbled over vanilla ice cream. On the list of things we never would’ve thought of, bean-based flaked cereal has to be pretty close to the top. 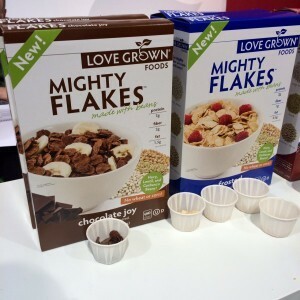 But Love Grown Foods’ Mighty Flakes, made with navy beans, lentils and garbanzo beans, were surprisingly good, with a hearty crunch and just the right amount of sweetness. 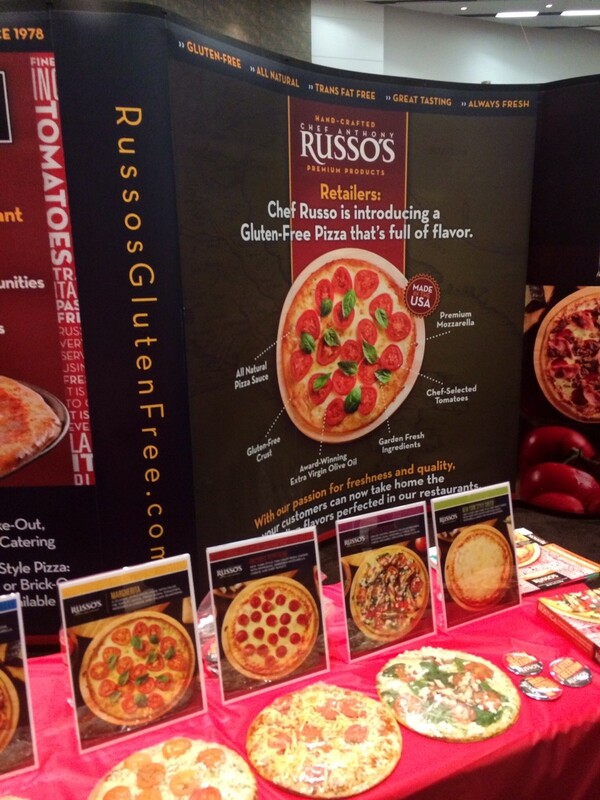 Gluten-free pizza options were everywhere at Expo West, and we ate everything from margherita pizzas to gluten-free bagel pizzas. Our favorite of the bunch? 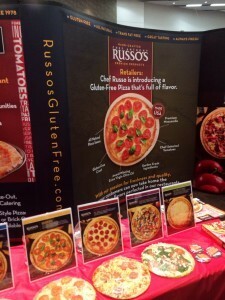 Russo’s Gluten-Free Mulberry Pizza, which was packed with four different types of meat and an abundance of mozzarella cheese. The crust was crispy, the toppings were plentiful, and we couldn’t help but smile as we ate a slice.